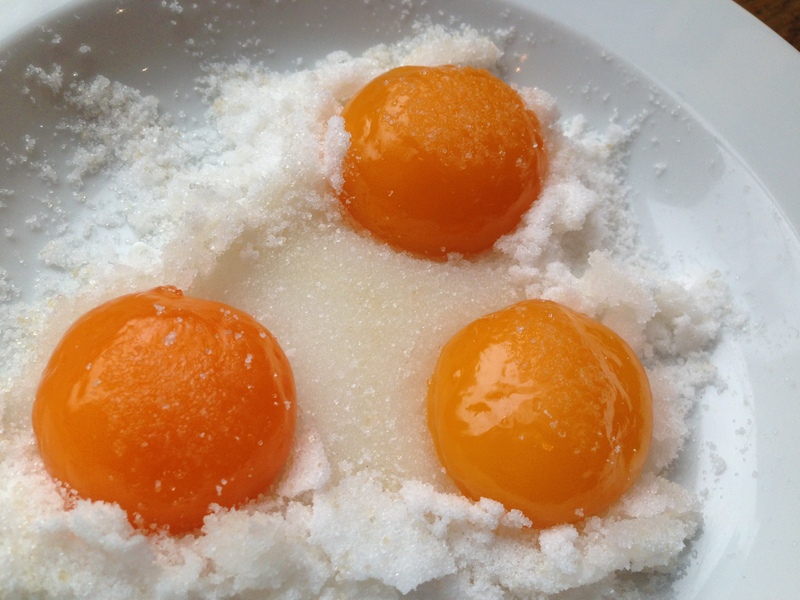 Yesterday I started curing some egg yolks, in preparation for a recipe in Magnus Nilsson’s Fäviken cookbook. I can’t resist checking them to see how they are progressing, and today there is already a change! 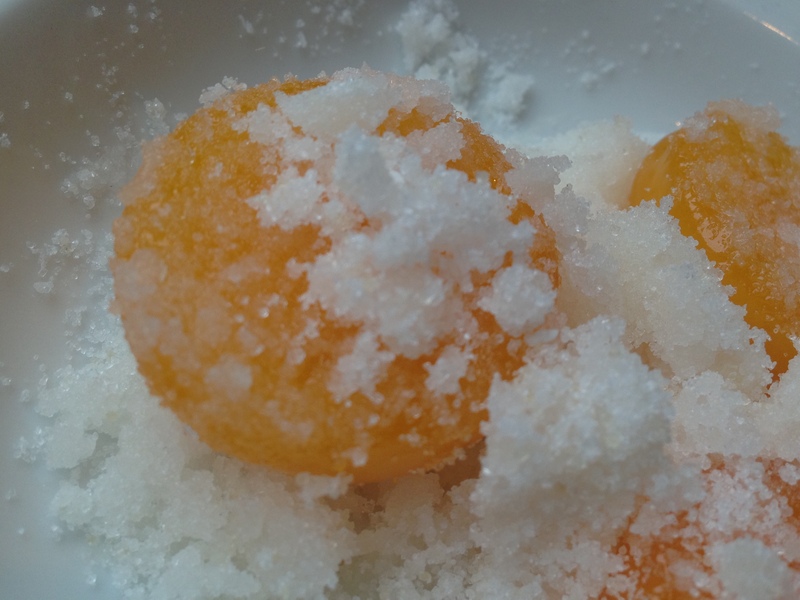 The yolks are visibly firmer, more intensely orange, and starting to hold a more solid shape. 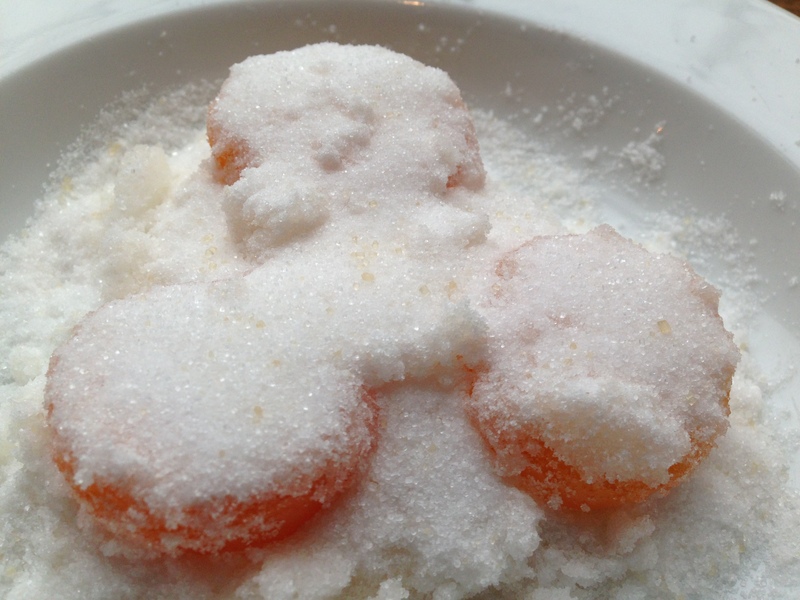 I ruffle up the dampened salt and sugar, turn them over, and add some more salt and sugar to surround them more completely. Back into the fridge they go.